We had 3 quotes... that we found ...not suitable ...too expensive ..and 2 of them had unprofessional salesman who were pushy. I went on the computer and through Homestars I found Wayner...filled out a few questions about what I wanted done and within minutes was contacted by the company. We setup a day/time to get a quote. He arrived promptly...was very personable and was honest in his opinion on what would work best. We had already done our own research and was in agreement with what he proposed. I liked the background he gave about the family business 3 generations...and his no nonsense approach. The work was done on time...efficiently...cleanly and all within our budget! We would highly recommend this company and have already referred him. Professional, Reliable, Affordable. Highly recommended. I was referred to Patton Home Improvements (Wayner Trough Covers Canada) by a friend who was very satisfied with their work (patio door install). I was very leary as I had a few bad contractors in the past. 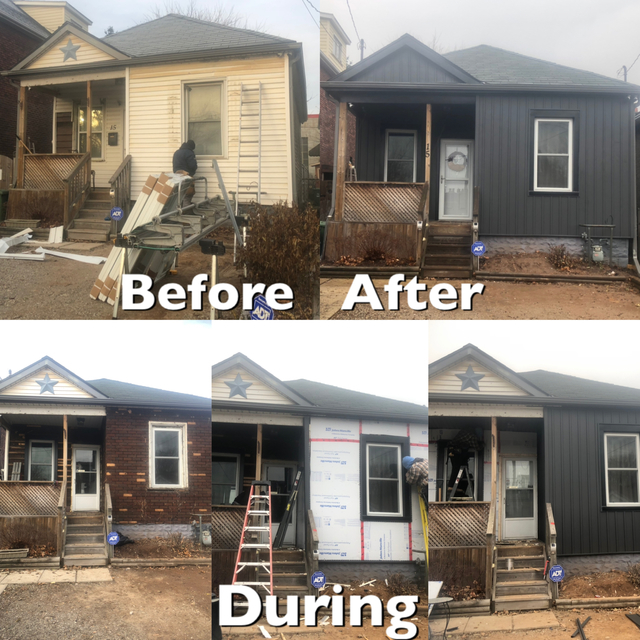 I contacted Larry Patton to meet him, go through the work I had wanted done on my house / get a quote. 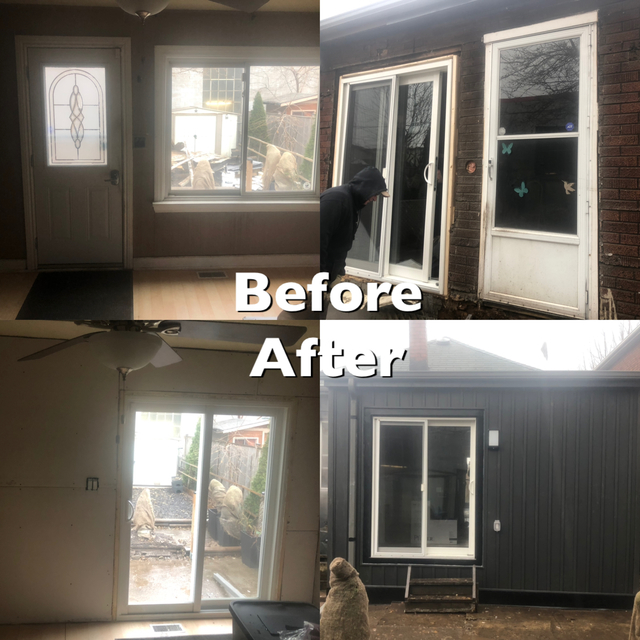 I wanted new vertical siding around the whole house, exterior insulation, the windows replaced, front screen door replaced, a doorway removed and a patio door installed where a larger window had been. Right from the start I was impressed with his conduct and professionalism. He showed up when he said he would and was down to earth. I truly appreciated that he didn't attempt to up-sell me on anything, respecting what I said I had wanted done and the colours I already knew I had wanted. He provided me valuable input but treated me as a human being versus a "cash cow" like other pushy contractors just out for money. Larry was quick to respond to any questions and concerns that I contacted him about. Larry's team arrived when they said they would to do the work. The guys were amazing! I couldn't believe the strong work ethic these guys had, they worked hard from the moment they arrived at my house till the end of each day they were there only stopping for a brief lunch. The guys were friendly, knowledgeable and professional. They truly went the extra mile. They even tidied up around my house before they left for the day. You could easily see that the guys enjoy the work they do / take pride in it & they have a great rapport with each other. It was a family atmosphere and I truly appreciated it. Seeing my house transform from it's older state (downtown Hamilton war time home) into this new beauty was a wonderful experience. 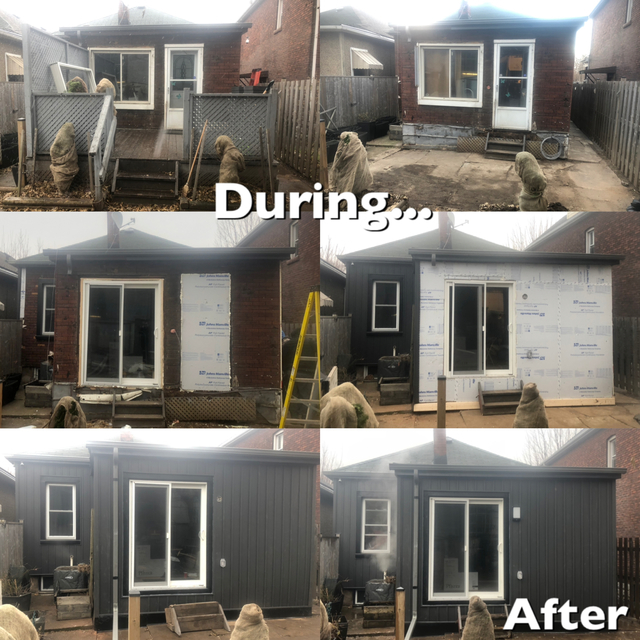 Despite the minor surprises that comes with older home renos, meddling neighbours and another failed contractor trying to tell them how to do their job the team was amazing & professional through it all. Everyone who stopped to comment on the house including our postal worker and a city bylaw officer has said that it's the nicest house on the street now! I did have to laugh as a different company replacing / capping windows on a different house came over to examine my house windows after Larry's team left to see how Larry's team had done it! lol I'm truly impressed with the beauty of Patton Home Improvement's work. They have definitely increased the property value of my home. My house has turned out better than I could have imagined! I highly recommend Patton Home Improvements (Wayner Trough Covers Canada) and will definitely be using their services again! Thank you for the great review. The guys really enjoyed doing the work on your home. We take a lot of pride in our work and the way we do business. It is a business relationship between homeowner and our company and it should be a great experience for both. Yours was exceptional. Thank you for having the confidence in our company to do the work on your home. It looks fantastic. Thanks again and look forward to working with you again on your next project. Larry Patton from Wayner Trough Covers Canada is highly professional, friendly & always with customer first approach. He had one of the best solution for leaf guard /eves though from the market. He explained me details about the product, he also made sure to keep my black color choice and customize product accordingly. 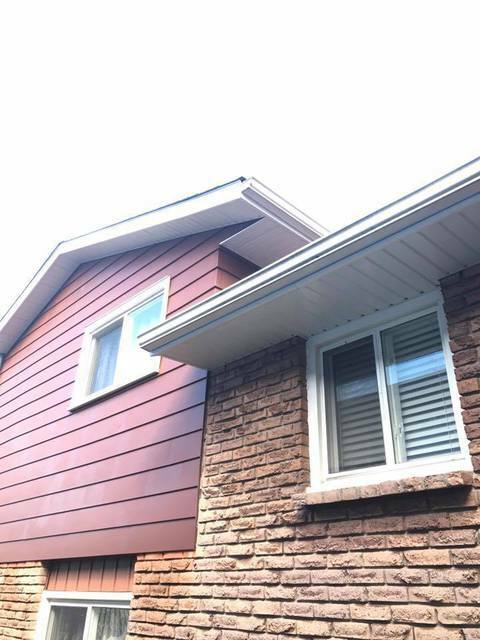 He replaced eavestrough fascia soffit & pipes for my home. Product is really amazing (refer pictures with this review) & best from the market, i really never need to clean leaves from eves through. its really peace of mind. Larry & his team is very friendly and joyful , very rare to find such a nice, honest & professional group of people in renovation industry. His price for the job was really reasonable and competitive. Job was performed in timely and professional manner. Team left the place tidy condition. I am highly satisfied with the work done by Larry, his son and team. Considering my experience with Larry & his team, I highly recommend him to anyone who is looking for eves trough products & installation. Thank you very much for the great review. It was a pleasure to do the work on your home. It's always nice when quality people want quality work completed on their home using only the the best products on the market. As a family business, quality workmanship and quality products will keep our business in business for years to come. Larry/Grant. All my experience with this company over the years have been just amazing. I've had experience with less than reliable contractors in the past; wish I have found this company 20 years ago! They have proven time and time again to be quite extraordinary. Honest, reliable, friendly and reasonable priced. Guys even helped me move my stove! Customer Service is alive and well. I would refer this crew to my mother. We have a huge hickory tree in our backyard that was constantly dropping leaves, branches and creating a lot of work to keep the eavestrough clean to avoid getting backed up. We love the tree so we needed a solution that didn't involve cutting it down. Had the team from Wayner Trough Covers come in to do an estimate and explain the product to be sure it would solve our problems. The salesman they sent over was really thorough, easy going/no pressure and spent a lot of time explaining the product, installation and upkeep which gave us great piece of mind and made our decision very easy! Within a few weeks they sent a team to do the installation and we were super impressed with how courteous, professional and friendly they were. They did their work with great care for our home and property and when they were done they cleaned up everything as if they had never been there. Highly recommend this product and the team! Happy to say there will be no more climbing on the roof to clean out dead leaves from out eavestrough anymore! I met there salesman at my house. Took the time to go over everything with me. He took the time to go over all the products and made my decision easy. The guys that showed up at my house were great. The cleanup after their job was outstanding. Highly recommend!!! At Wayner Trough Covers Canada, we believe you deserve only the best in both customer service and technology in the products we use. 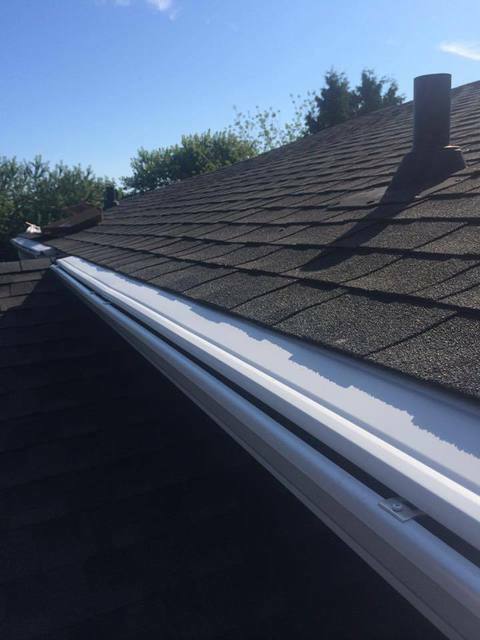 We take the pain and hassle out of dealing with your gutters by providing expert solutions that deliver the best results possible. 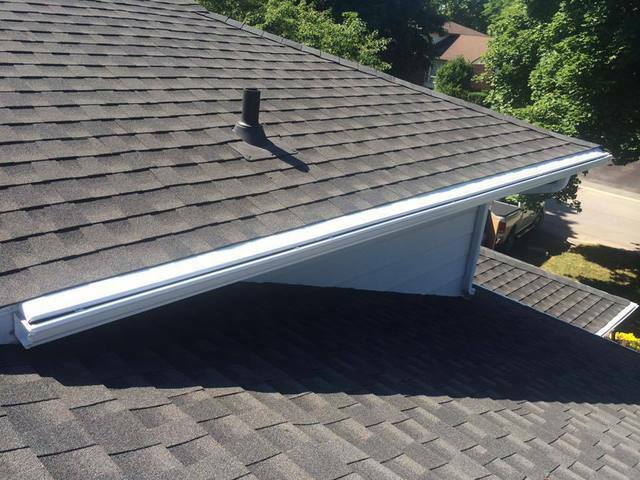 How Can You Be Sure We're The Best Eavestrough Company To Work With? We get it. You're researching companies on the internet that can handle the eavestrough work you're after. Reading review after review, going through each website, even asking friends for recommendations. You want to make sure you pick the right company that you can trust and do quality work. Meet Larry Patton, owner of Wayner Trough Covers. He brings over 35 years of experience in the eavestroughs and remodeling industry. Larry’s years of experience and his expertise offer a solid foundation that will help you in selecting the proper products and services to get the job done right. 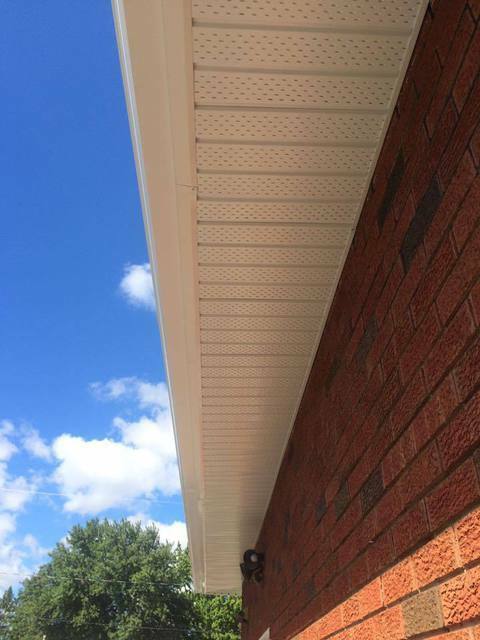 I started this company to help home owners navigate the tricky world of home remodeling when it comes to their eavestroughs. I want to work closely with each customer that comes our way to provide an honest, reliable service and become a name that people can trust. I work exclusively with my son's company McPherson Installations to assure only installers I trust will work on your home. Running this together as a family business has been our goal and our values reflect this. We're a family run business that's out to change the way people perceive home contractors. Let's face it, you or somebody you know probably has a horror story about working with a home contractor. We've all seen the show with Mike Holmes. Our reputation and trust we've built over 35 years of working with 1000s of happy customers mean the world to us. We're not here to take shortcuts or squeeze out an extra buck from you. We have the same family, home, career and life goals and concerns as you do. We believe in doing an honest day's work and see the bigger picture. We're after building a long-term company that puts results and customer satisfaction over everything else. 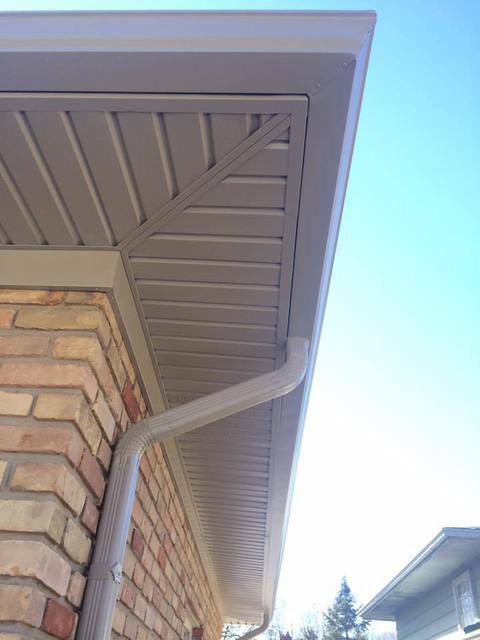 We know that not everybody is an expert like us when it comes to eavestroughs. That's why we've set out to make this whole process as pain free as possible. Our knowledgeable team is here to offer you the best advice on selecting the right products and services that fit your budget and needs. We offer free, no pressure consultations to take all the risk out of making a decision before you buy. Flexible monthly payments can be made easily through our hassle free financing option if that works better for you. 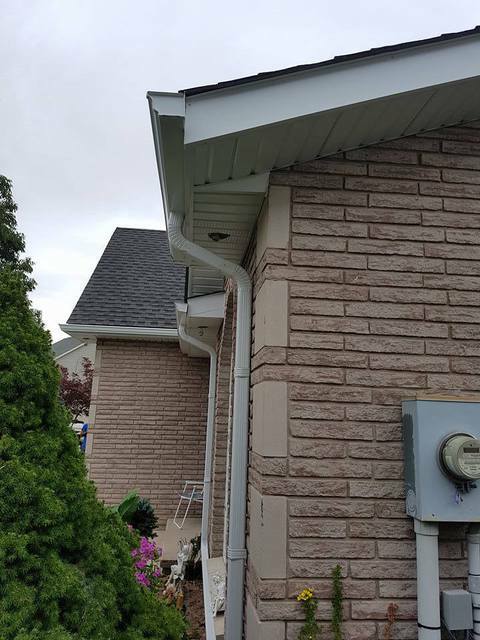 What Makes Us Better Than The Other Eavestrough Guys? We strive to offer the highest quality products and services and we're not just saying that! We know that allowing an outside company to come and perform work on something as important as your home requires a lot of trust and we don't take that lightly. We absolutely love what we do and our work reflects that. TRUST & EXPERIENCE We have over 35 years working in the home improvement industry and have built a reputation for getting the work done right, on time, and on budget. EXCEPTIONAL SERVICE Home contractors sadly aren't known for having the best reputation but from the first time you contact us you'll see how we're different. RESULTS We're proud of the results we achieve for our customers and take pride in knowing they would highly recommend us to their friends and family. 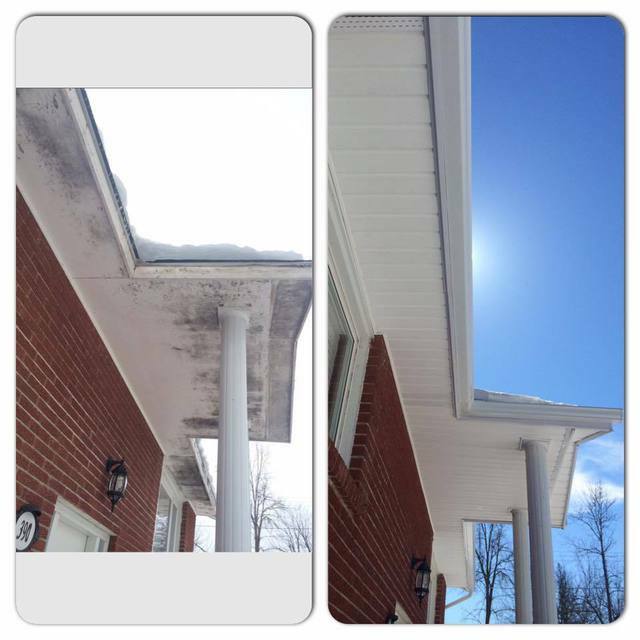 SUPERIOR PRODUCTS We have the exclusive Canadian rights to revolutionary eavestrough products. Our products are so far ahead of the competition, it's not even close. FULLY INSURED We believe in doing things properly and not taking shortcuts. We're fully licensed, insured and have WSIB and business insurance certificates. WARRANTY We stand strongly behind our workmanship and want you to have peace of mind. All our products come with a 20 year warranty. Life Warranty Available. Kindly ask for details.